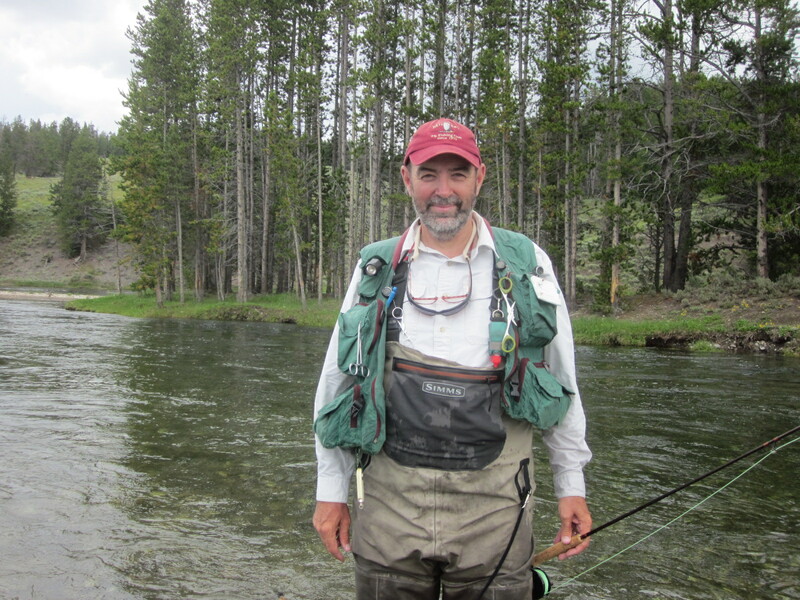 In early May, when fly anglers in the lower 48 are kissing the Hendrickson hatch goodbye and welcoming in the Ephemerella sulphurs, interior Alaska is still in the midst of a season we call "break-up." With temperatures in the 50s and most of the snow gone at our altitude, it's no longer winter in Fairbanks. But it's not spring yet, either. The trees show no sign of green. The rivers, swollen with mountain snowmelt, are still choked with massive chunks of their meter-thick winter ice, crashing through the riffles and sharp bends in a thunderous racket as the river carries them down toward the Yukon and the Bering Sea. If you think this does not sound like dry fly weather, you're right. 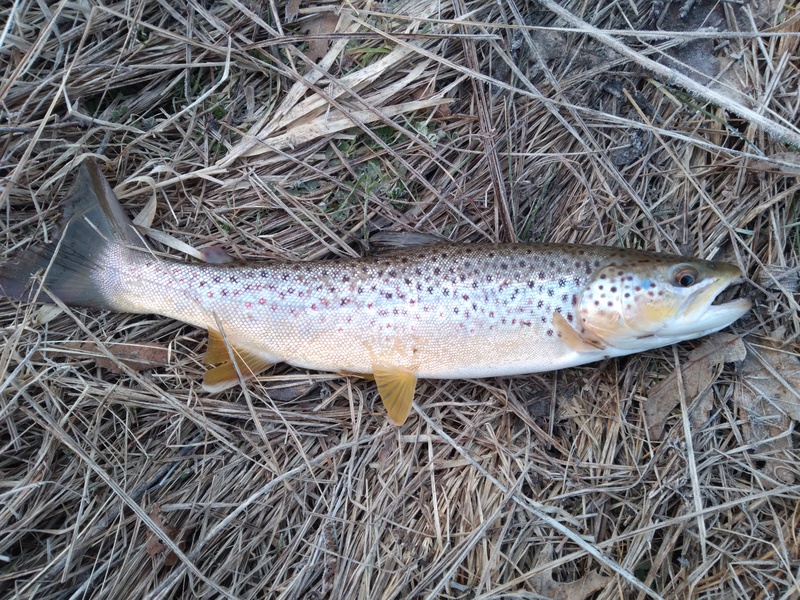 The first good fishing of the year is less delicate: it involves heavy spinning gear, ounces of lead, size 2/0 hooks, and dead, cut fish. 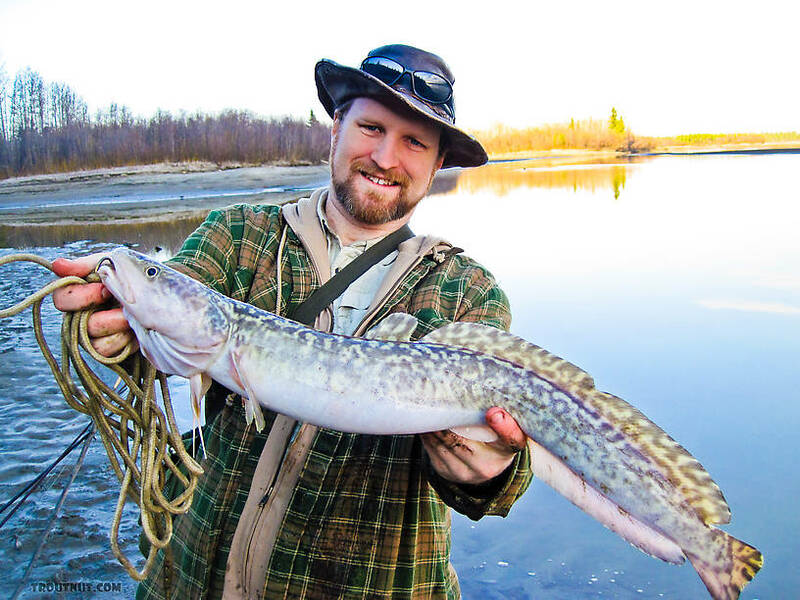 The reward is the burbot, the world's only freshwater cod, a fish more delicious than its saltwater counterparts. I'm happy to catch burbot at any time of year, but they're especially sweet after 7 months of winter! This is my first (non ice-fishing) fish of 2011 and my best burbot yet, my first one of a respectable size, although they get much bigger. Here's what the main channel looked like on this trip. The tributaries up in the hills look like this, or worse. 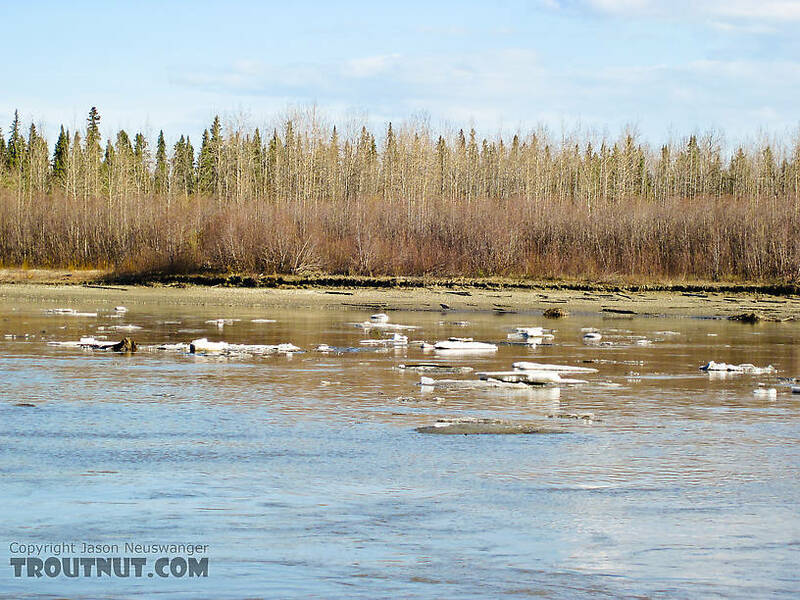 Early May isn't fly fishing season yet in interior Alaska. 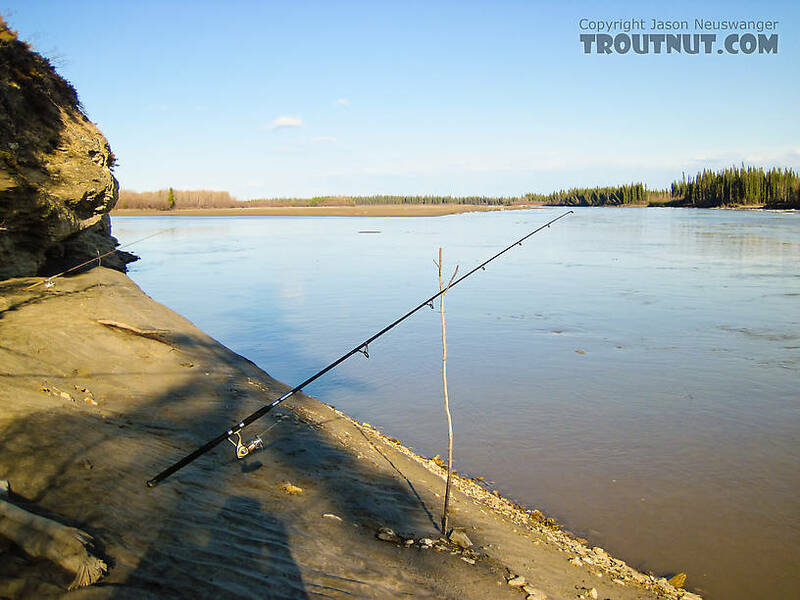 Typical set-up for burbot fishing: throw the heavily weighted bait in and sit around until something happens. This calm eddy off the edge of the main channel was relatively free of ice. Posts: 2345 Jason, I wouldn't feel any guilt about not catching those fish on flies. Hey, my first nine fish of the year were bluegills that I pulled through a hole in the ice, caught on a teardrop baited with a waxworm. Sometimes a man just needs to catch some fish!! It's a long story cut way short, but it was just after Easter in 1973 when my traveling buddy and I had to sleep out on the ground one night up there in your neck-of-the-woods with only our sleeping bags...It crossed my mind during the night to zip them together...Yes we were good friends and had known each other since 7th grade, but it felt like we might freeze to death. We skipped the zipping the sleeping bags together and somehow fell asleep and lived to talk about it.